For other uses, see Jupiter (disambiguation). Jupiter is the largest planet in the Solar System. It is the fifth planet from the Sun. Jupiter is a gas giant, both because it is so large and made up of gas. The other gas giants are Saturn, Uranus, and Neptune. Jupiter has a mass of 1.8986×1027 kg, or about 318 Earths. This is twice the mass of all the other planets in the Solar System put together. Jupiter can be seen even without the use of telescope. It was known to the ancient Romans, who named it after their god Jupiter (Latin: Iuppiter). Jupiter is the third brightest object in the night sky. Only the Earth's moon and Venus are brighter. Jupiter is the biggest planet in the Solar System with a diameter of 142,984 km. This is eleven times bigger than the diameter of Earth. A picture by an artist of the Voyager 1 spacecraft that flew past Jupiter in 1979. The atmosphere near the surface of Jupiter is made of about 88 to 92% hydrogen, 8 to 12% helium, and 1% other gases. The lower atmosphere is so heated and the pressure so high that helium changes to liquid. It rains down onto the planet. Based on spectroscopy, Jupiter seems to be made of the same gases as Saturn. It is different from Neptune or Uranus. These two planets have much less hydrogen and helium gas. The very high temperatures and pressures in Jupiter's core mean scientists cannot tell what materials would be there. This cannot be found out, because it is not possible to create the same amount of pressure on Earth. Jupiter is twice as massive as all the other planets in the Solar System put together. It gives off more heat than it gets from the sun. Jupiter is 11 times the width of Earth and 318 times as massive. The volume of Jupiter is 1,317 times the volume of Earth. In other words, 1,317 Earth-sized objects could fit inside it. Jupiter has many bands of clouds going horizontally across its surface. The light parts are zones and the darker are belts. The zones and belts often interact with each other. This causes huge storms. Wind speeds of 360 kilometres per hour (km/h) are common on Jupiter. To show the difference the strongest tropical storms on Earth are about 100 km/h. Most of the clouds on Jupiter are made of ammonia. There may also be clouds of water vapour like clouds on Earth. Spacecrafts such as Voyager 1 have seen lightning on the surface of the planet. Scientists think it was water vapour because lightning needs water vapour. These lightning bolts have been measured as up 1,000 times as powerful as those on Earth. The brown and orange colours are caused when sunlight passes through or refracts with the many gases in the atmosphere. One of the biggest features in Jupiter's atmosphere is the Great Red Spot. It is a huge storm which is bigger than the entire Earth. It is on record since at least 1831, and as early as 1665. Images by the Hubble Space Telescope have shown as many as two smaller "red spots" right next to the Great Red Spot. Storms can last for hours or as long as hundreds of years in the case of the Great Red Spot. Jupiter has a magnetic field like Earth's but 11 times stronger. It also has a magnetosphere much bigger and stronger than Earth's. The field traps radiation belts much stronger than Earth's Van Allen radiation belts, strong enough to endanger any spacecraft travelling past or to Jupiter. The magnetic field is probably caused by the large amounts of liquid metallic hydrogen in the core of Jupiter. The four largest moons of Jupiter and many of the smaller ones orbit or go around the planet within the magnetic field. This protects them from the solar wind. Jupiter's magnetic field is so large, it reaches the orbit of Saturn 7.7 million miles (12 million km) away. The Earth's magnetosphere does not even cover its moon, less than a quarter of a million miles (400,000 km) away. Jupiter also has a thin planetary ring system. These rings are difficult to see and were not discovered until 1979 by NASA's Voyager 1 probe. There are four parts to Jupiter's rings. The closest ring to Jupiter is called the Halo Ring. The next ring is called the Main Ring. It is about 6,440 km (4,002 mi) wide and only 30 km (19 mi) thick. The Main and Halo rings of Jupiter are made of small, dark particles. The third and fourth rings, called the Gossamer Rings, are transparent (see through) and are made from microscopic debris and dust. This dust probably comes from small meteors striking the surface of Jupiter's moons. The third ring is called the Amalthea Gossamer Ring, named after moon Amalthea. The outer ring, the Thebe Gossamer Ring, is named after the moon Thebe. The outer edge of this ring is about 220,000 km (136,702 mi) from Jupiter. The orbit of a planet is the time and path it takes to go around the Sun. In the amount of time it takes for Jupiter to orbit the Sun one time, the Earth orbits the Sun 11.86 times. One year on Jupiter is equal to 11.86 years on Earth. The average distance between Jupiter and the Sun is 778 million kilometres. This is five times the distance between Earth and the Sun. Jupiter is not tilted on its axis as much as Earth or Mars. This causes it to have no seasons, for example summer or winter. Jupiter rotates, or spins around very quickly. This causes the planet to bulge in the middle. Jupiter is the fastest spinning planet in the Solar System. It completes one rotation or spin in 10 hours. Because of the bulge, the length of the equator of Jupiter is much longer than the length from pole to pole. No new moons were discovered for more than two hundred years. In 1892, astronomer E.E Barnard found a new moon using his observatory in California. He called the moon Amalthea. It was the last of Jupiter's 67 moons to be discovered by human observation through a telescope. In 1994, bits of the comet Shoemaker Levy-9 hit Jupiter. It was the first time people saw a collision between two Solar System objects. Seven spacecraft have flown past Jupiter since 1973. 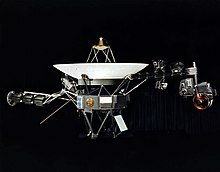 These were Pioneer 10 (1973), Pioneer 11 (1974), Voyagers 1 and 2 (1979), Ulysses (1992 and 2004), Cassini (2000) and New Horizons (2007). The Pioneer missions were the first spacecraft to take close up pictures of Jupiter and its moons. Five years later, the two Voyager spacecraft discovered over 20 new moons. They captured photo evidence of lightning on the night side of Jupiter. The Galileo mission in 1995 was the first spacecraft to go into orbit around Jupiter. It flew around the planet for seven years and studied the four biggest moons. It launched a probe into the planet to get information about Jupiter's atmosphere. The probe travelled to a depth of about 150 km before it was crushed by the weight of all the gas above it. This is called pressure. The Galileo spacecraft was also crushed in 2003 when NASA steered the craft into the planet. They did this so that the craft could not crash into Europa, a moon which scientists think might have life. NASA have sent another spacecraft to Jupiter called Juno. It was launched on August 5, 2011. The spacecraft arrived at Jupiter on July 4, 2016. Several missions have been planned to send spacecraft to Jupiter's moons Europa and Callisto. One called JIMO (Jupiter Icy Moons Orbiter) was cancelled in 2006 because it cost too much money. Jupiter has 79 known moons. The four largest were seen by Galileo with his primitive telescope, and nine more can be seen from Earth with modern telescopes. The rest of the moons have been identified by spacecraft. The smallest moon (S/2003 J 12) is only one kilometre across. The largest, Ganymede, has a diameter of 5,262 kilometres. It is bigger than the planet Mercury. The other three Galilean moons are Io, Europa and Callisto. Because of the way they orbit Jupiter, gravity affects three of these moons greatly. The friction caused by the gravity of Europa and Ganymede pulling on Io makes it the most volcanic object in the Solar System. It has over 400 volcanoes, more than three times as many as Earth. Jupiter's large gravity has had a big effect on the Solar System. Jupiter protects the inner planets from comets by pulling them towards itself. Because of this, Jupiter has the most comet impacts in the Solar System. Two groups of asteroids, called Trojan asteroids, have settled into Jupiter's orbit round the Sun. One group is called the Trojans and the other group is called the Greeks. They go around the Sun at the same time as Jupiter. ↑ 2.00 2.01 2.02 2.03 2.04 2.05 2.06 2.07 2.08 2.09 2.10 2.11 2.12 2.13 2.14 Williams, Dr. David R. (2013-07-01). "Jupiter Fact Sheet". NASA. Retrieved 2013-07-19. ↑ 4.0 4.1 Sheppard, Scott S. "New Moons of Jupiter Announced in 2017". Retrieved 2017-06-15. ↑ "NASA: Solar System Exploration: Planets: Jupiter: Facts & Figures". NASA. Retrieved 2011-05-07. ↑ "Probe Nephelometer". Galileo Messenger (NASA/JPL) (6). March. http://www2.jpl.nasa.gov/galileo/messenger/oldmess/2Probe.html. Retrieved 2007-02-12. ↑ 12.0 12.1 12.2 "What Is Jupiter?". NASA. 2014. Retrieved April 1, 2015. ↑ 13.0 13.1 Hamilton, Calvin (2015). "The Solar System". solarviews.com. Retrieved April 1, 2015. ↑ Kidd, D. A. (2008). Collins Pocket Latin Dictionary. HarperCollins. p. 194. ISBN 9780007263745. ↑ 16.0 16.1 "The biggest single object we can see in our galaxy, with the unaided eye". NASA. Retrieved 2013-09-26. ↑ Lang, Kenneth R. (2011). The Cambridge Guide to the Solar System (Second ed.). Cambridge University Press. p. 285. ISBN 978-0-521-19857-8. ↑ Strickland, Ashley. "12 new moons discovered around Jupiter". CNN. Retrieved August 24, 2018. ↑ Coffey, Jerry (December 22, 2008). "Jupiter Compared to Earth". universetoday.com. Retrieved April 1, 2015. ↑ "Highlights of the Galileo Probe Mass Spectrometer Investigation". Retrieved 2013-08-23. ↑ Coffey, Jerry (May 22, 2008). "Does Jupiter Have a Solid Core?". universetoday.com. Retrieved April 1, 2015. ↑ "Jupiter". NASA. Retrieved 2009-07-20. ↑ "Dynamics of Jupiter's atmosphere" (PDF). The University of Arizona. Retrieved 2009-07-20. ↑ "Tropical cyclones". Weather South Africa. Archived from the original on 2011-01-28. Retrieved 2009-07-19. ↑ "Jupiter". Solar View. Retrieved 2009-07-20. ↑ 28.0 28.1 "Surprising Jupiter - Busy Galileo spacecraft showed jovian system is full of surprises". NASA. Retrieved 2009-07-20. ↑ Denning, W. F. (1899). "Jupiter, early history of the great red spot on". Monthly Notices of the Royal Astronomical Society 59: 574–584. doi:10.1093/mnras/59.10.574. ↑ Kyrala, A. (1982). "An explanation of the persistence of the Great Red Spot of Jupiter". Moon and the Planets 26 (1): 105–7. doi:10.1007/BF00941374. ↑ "HubbleSite- NewsCenter". NASA. Retrieved December 12, 2013. ↑ "HubbleSite- NewsCenter". NASA. Retrieved April 26, 2015. ↑ "New Storm on Jupiter Hints at Climate Change". Space.com. Retrieved 2009-07-26. ↑ "Great Red Spot". NASA. Retrieved 2009-07-26. ↑ "The Magnetic Field of Jupiter". AstroWiki. Retrieved 2009-07-21. ↑ Seligman, Courtney (2014). "Planetary Magnetic Fields and Metallic Hydrogen". cseligman.com. Retrieved April 1, 2015. ↑ "Jupiter's Magnetosphere". Astrophysics Spectator. Retrieved 2009-07-20. ↑ "Juno Mission to Jupiter" (PDF). NASA. p. 2. Retrieved 2011-07-21. ↑ 40.0 40.1 40.2 "NASA: Solar System Exploration: Planets: Jupiter: Read More". NASA. Retrieved 2011-04-24. ↑ 41.0 41.1 41.2 Russell, Randy (2012). "The Rings of Jupiter - Halo, Main and Gossamer RIng - Composition". windows2universe.org. Retrieved 2012-01-24. ↑ "Jupiter's path in the sky". The Electronic Universe. Retrieved 2009-07-20. ↑ 43.0 43.1 Cain, Fraser (January 20, 2009). "Rotation of Jupiter". universetoday.com. Retrieved April 1, 2015. ↑ "Jupiter: a giant primitive planet". NASA's Cosmos. Retrieved 2009-07-20. ↑ 45.0 45.1 45.2 "Jupiter". NASA. Retrieved 2009-07-17. ↑ "Edward Emerson Barnard". The Bruce Medalists. Retrieved 2009-07-20. ↑ 47.0 47.1 "Comet Shoemaker-Levy Collision with Jupiter". NASA. Retrieved 2009-07-20. ↑ "The helium abundance of Jupiter from Voyager". Harvard University. Retrieved 2009-07-20. ↑ "The Cassini-Huygens flyby of Jupiter". Harvard University. Retrieved 2009-07-20. ↑ 50.0 50.1 "Galileo End of Mission Status". NASA. Retrieved 2009-07-20. ↑ Greicius, Tony (2011-05-24). "Juno Launch". NASA. Retrieved 2011-07-05. ↑ "NASA's Juno Spacecraft in Orbit Around Mighty Jupiter". NASA. 2016-07-05. Retrieved 2016-07-22. ↑ "White House scales back space plans". MSN. Retrieved 2009-07-20. ↑ "Jovian System". U.S. Geological Survey. Retrieved 2009-07-24. ↑ "Ganymede". Nine Planets. Retrieved 2009-07-20. ↑ "Lava lakes on Io: observations of Io's volcanic activity from Galileo NIMS during the 2001 fly-bys". Harvard University. Retrieved 2009-07-20. ↑ Wright, Alison (August 1, 2011). "Planetary science: The Trojan is out there". Nature Physics 7: 592. doi:10.1038/nphys2061. http://www.nature.com/nphys/journal/v7/n8/full/nphys2061.html. Retrieved 2011-08-12. "Jupiter Fact Sheet". NASA. Retrieved 2009-09-05. "Moons of Jupiter articles in Planetary Science Research Discoveries". Planetary Science Research Discoveries. Retrieved 2009-09-05.